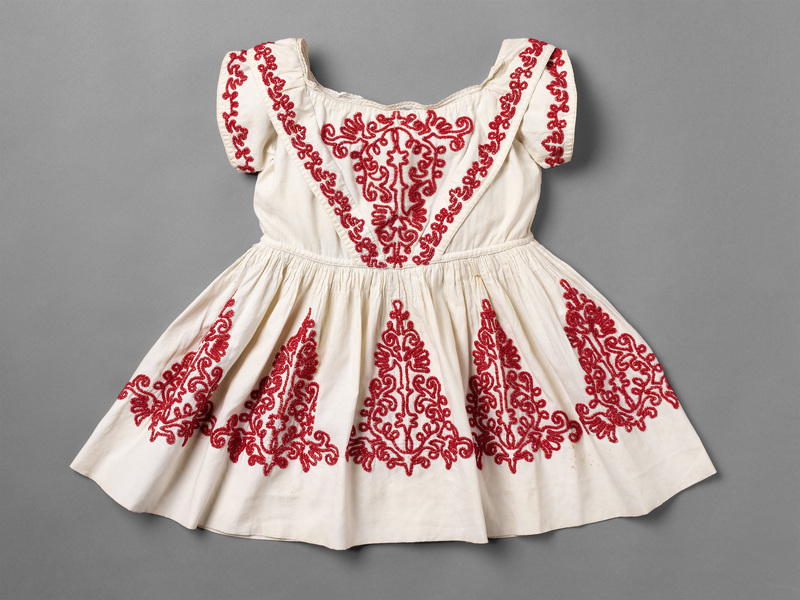 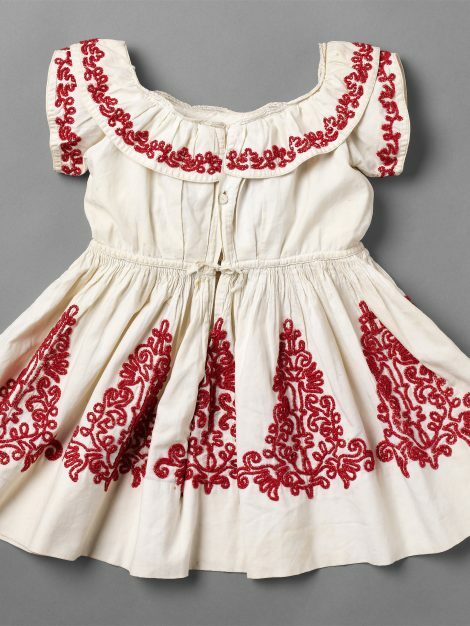 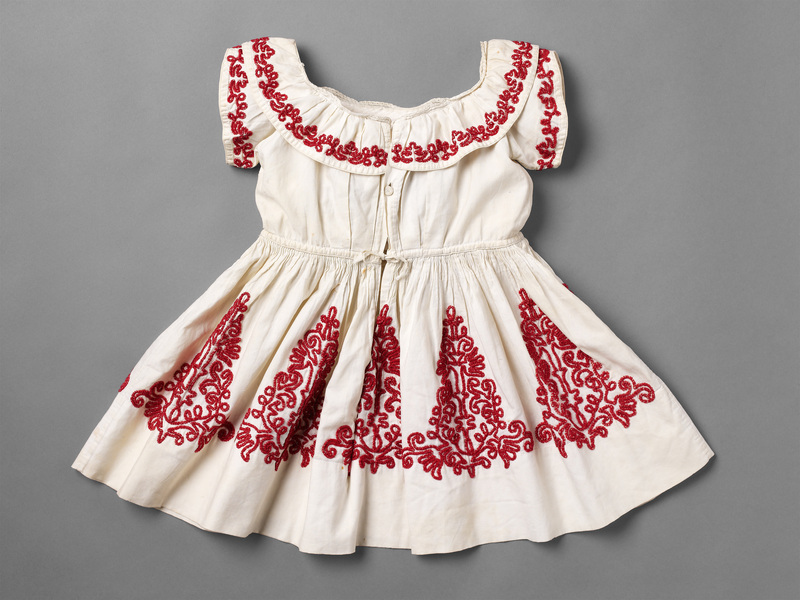 Cotton was practical for children’s wear as it could be washed, assuming that the braid did not shrink or bleed. 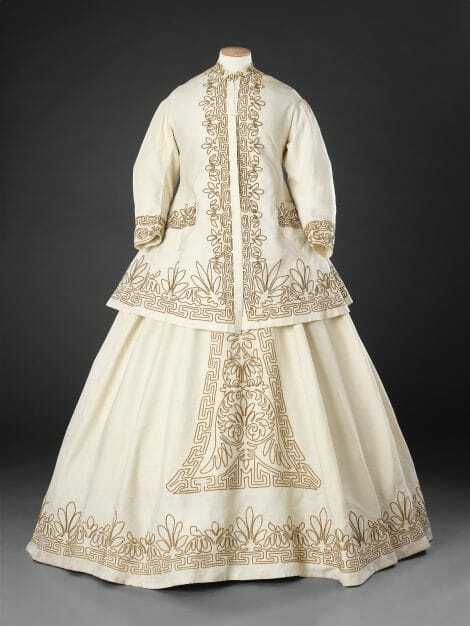 The skirt of this dress has a series of triangular pattern motifs worked after the hem had been stitched, one of which has been inverted to form the centre front panel of the bodice. 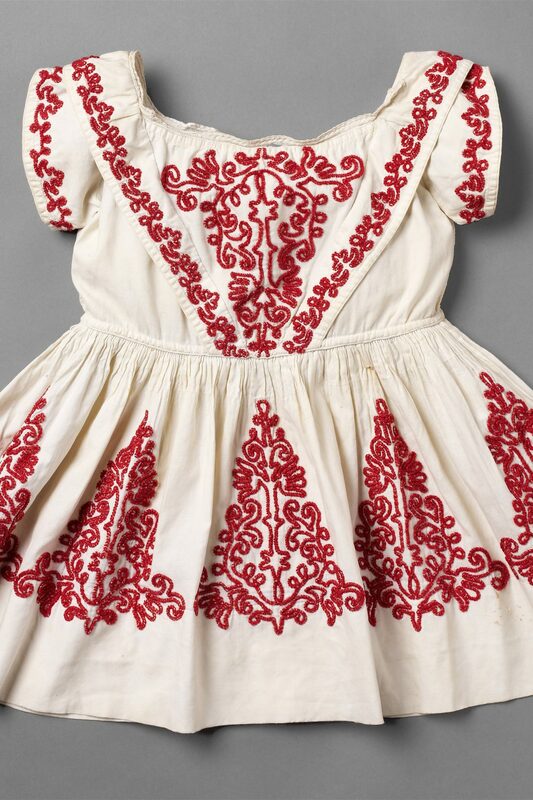 Please see ‘Related Items’ for more information.